Heroin is a powerful opiate and can be extremely addictive. Heroin overdose deaths across America have nearly quadrupled from 2000 to 2013, and Arizona is the sixth-highest state when it comes to heroin overdose fatalities. Heroin crimes are punished harshly in Arizona and under federal law. It is a Schedule I drug, and even possessing it is usually a felony. If you are charged with a heroin offense, you should retain an experienced drug crime attorney. The Law Office of James Novak may be able to provide a defense to your charges. Mr. Novak is a Phoenix heroin crime lawyer and a former prosecutor who now turns his insights and substantial criminal trial experience toward helping people who have been charged with serious felonies. Heroin is a Schedule I drug, which means that class 4 felony charges may be pursued against you if you are caught possessing heroin, even though possession is the least serious heroin crime. Class 4 felonies can be punished by six months to two years in prison and a fine of $1,000 or three times the street value of the substance. The prison term may be higher or lower if there are aggravating or mitigating circumstances. However, if you have no prior felony conviction, the court has the discretion to treat the possession as a Class 1 misdemeanor. Misdemeanors are punished more leniently than felonies. Selling heroin is a Class 3 felony, which means that the punishment is greater than the Class 4 felony of simple possession. The ordinary range of prison time that may be imposed is 2.5-7 years. If there are mitigating factors, it may be possible for a heroin crime attorney in the Phoenix area to get the prison term down to two years, but if there are aggravating factors like violence, it may be increased to 8.75 years. If you are caught selling heroin to a minor, you can be charged with a class 2 felony, which is the most serious class of drug crime felonies, and one year is added if you sold the heroin in a school zone. 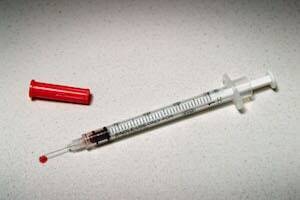 Heroin trafficking or manufacturing in Arizona is a class 2 felony. The typical range of sentencing for a class 2 felony is 4-10 years, but if there are mitigating factors, your lawyer may be able to get it down to three years. If there are aggravating factors, the sentence can go up to 12.5 years of imprisonment. There often are defenses available if you are charged with a heroin crime. As mentioned above, a first offense may be treated as a misdemeanor. Furthermore, law enforcement officers are supposed to follow numerous procedures and rules in connection with gathering evidence. An illegal search and seizure can be grounds to have evidence suppressed. For example, if officers failed to get a warrant to search your home, and there were no exigent circumstances, it could be possible to suppress any evidence of heroin that was found there. Or perhaps the idea to commit a heroin crime was an undercover officer's idea, in which case it may be possible to assert an entrapment defense under A.R.S. section 13-206. Entrapment is a complicated defense, and you will need to formally admit to substantial elements of the crime in order to raise this defense. It is best presented with the help of a skillful and knowledgeable attorney. Heroin crimes are quite serious. Although there is a growing recognition that heroin use is a public health crisis, the possession, sale, trafficking, or manufacturing of the substance can be penalized harshly. If you are charged with a heroin crime in Arizona, you face the possibility of serious legal and social consequences, including prison time, probation, difficulty securing housing or a job, and the loss of a professional license. You should retain a Phoenix heroin crime attorney to build a strong defense. Contact James Novak at (480) 413-1499 or via our online form for an appointment. He also represents defendants who need a marijuana lawyer or assistance with other drug charges throughout the Phoenix area, including in Tempe, Mesa, Chandler, Gilbert, Scottsdale, and other cities in Maricopa County.